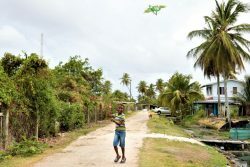 Mora is a tiny village on the right bank of the Essequibo River, 35.5 kilometres from Vreed-en-Hoop tucked between Salem and Sparta and home to just a few families. Most of its residents are relatively new, having moved there less than ten years ago, many of its early settlers having migrated as the years went by. 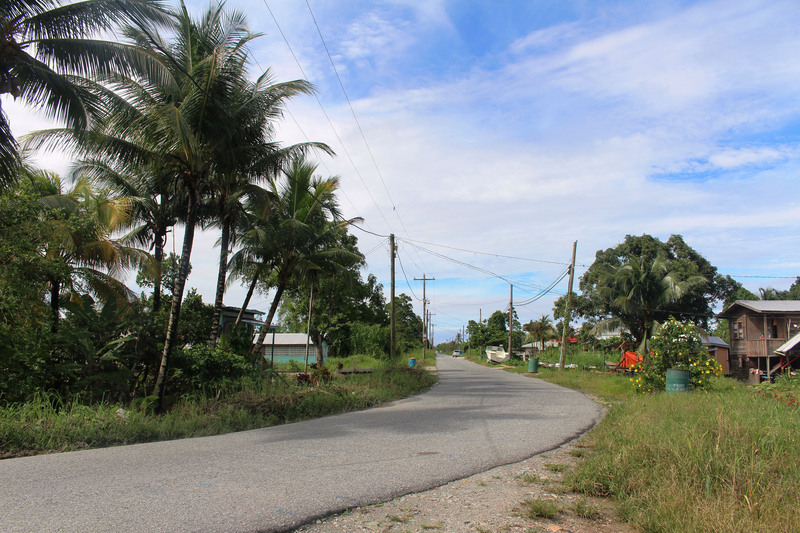 In its early days, Mora had just three families resident and was plagued with deplorable roads. Between the 1950s and the 1980s sugarcane farmers travelled from the Wales, Leonora and Uitvlugt estates and stayed for short periods at a time in Mora working on the farms, planting mainly ground provisions. They made small temporary homes and some eventually stayed. 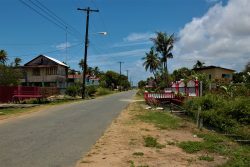 Over time, the village grew but soon families looking for a better life migrated to Georgetown, other parts of Guyana and overseas. Today the village has nine families and is the last village under the Parika/Mora Neighbourhood Democratic Council. One resident who moved there in the 1970s recalled that there was one hire car, driven by the late Mr Doobay. If you missed that taxi then you had to walk three and a half miles to the village. Although, there were donkey and horse carts their sole purpose was transporting farm produce to the Parika Market, but some persons were lucky to be given lifts. Mora has developed over the decades, and its people live fairly comfortably. However, an issue which does not seem to be going anywhere soon is the slow internet and school children are the ones who are most affected by this. Ovando Holder, a shipwright, settled in Mora just over two years ago. Holder, who hails from the Pomeroon, grew up helping his father, Gerald Kellawan, make the V-shaped bottom boats called the ‘balahoo’. Boats have always been part of his life. When he was much younger, he paddled his way to Siriki Primary every day, a quarter mile distance from his home. Some three years ago he built his last boat in the Pomeroon then left for Bartica to finish the shed for the same boat. While there, he heard of how thriving the boat business was on the East Bank Essequibo and packing up, left and settled in Mora. His boat prices range from $350,000 to $1 million; the little paddle boats for farmers cost just $70,000. He said his move has brought him more customers, most of whom work the Parika/Supenaam and Parika/Bartica routes. Holder has since taken to the younger boys who hang around to watch as he works along with his father and has been teaching them to paint the boats along with a few other things. He does a lot of boat repairs and also works as a mechanic, repairing outboard engines and motor vehicles. For him, the move has been good and bad. Although groceries and transportation are readily available, having to pay rent and for utilities are new to him. Back in the Pomeroon, he used rain water and fresh, black creek water; there was a generator for electricity and room and board were free. The village has hardly any fenced yards all of which abound with flower and vegetable plants and fruit trees. In one yard bordered by eddo leaf plants and next door to another bordered by pumpkin vines, lives 81-year-old Phulmattie Vyfhuis, the oldest resident in the village. She moved to Mora ten years ago after suffering a stroke, so she could be close to her daughter who would care for her. However, not long after her move, tragedy struck and her daughter died. Vyfhuis said initially she was unable to move her entire right side, but after numerous doctor visits, she is back to normal. She does all of her own chores save for wiping (mopping) the house which is taken care of by her granddaughter who lives downstairs. Vyfhuis added that her granddaughter was cooking for her, but she did not like it and insisted on cooking for herself as she claims it is not right for her to sit idle when she can take care of herself. “All round is sheer grandchildren,” said Vyfhuis speaking of the plots of land surrounding hers. A long time ago, she said, she once planted ground provision, pumpkin, corn and other vegetables; this was back in Salem where she hails from. Her yard has numerous flower plants, all her work, but she said she has ceased planting since it is a bit too much for her now. To remain independent, she sells mints, cigarettes and bottled pepper sauce which she keeps in the sun to be better preserved. Vyfhuis said living in Mora is a blessing, as she is surrounded by family and villagers who show her great respect. Every Monday evening finds her at the mandir in Naamryk, two villages away. Mora has no place of worship except for the house opposite her that keeps Wednesday night bible meetings. “The entire Mora Estate belongs to the Benjamins and the Mackintosh family. My husband’s grandfather and his brother who were forest rangers, bought Sparta and Mora,” Sharmila Benjamin said. Though she could not say when the two villages were purchased, she recalled being told over the years by her husband and other relatives how Mora came to be. Her husband was away working in the interior at the time of my visit. 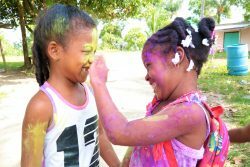 Mora, she noted, is populated with a mixture of Indo and Afro-Guyanese and Chinese and they live lovingly. She has three children, one who attends Queen’s College, another at West Demerara Secondary and the last at the Academy of Excellence, all of which are situated a long distance from home. Her daughter who goes to QC has to leave home by 6 am and would return at 5 pm. At first the travelling was tiresome, she said, but they soon grew accustomed to it. Like most of the other men in the village, her husband farms planting solely ground provision whenever he is at home. He and other farmers head over to neighbouring Salem where they sell off their produce at the koker there. This has been the mode of generating income for the villagers for a long time now. There are a few persons who work outside the village, yet there remains quite a number of unemployed youths. “Living here is safe. The people are real friendly. I moved here 13 years ago. When it comes to disadvantages, I can’t think of any. We live comfortable here; we have all of our needs taken care of,” Benjamin said.